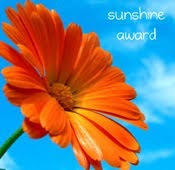 Creative A, a blogging pal from *Headdesk*, gave this blog the Sunshine Award! Doesn’t that picture just make you smile? Check out Creative A’s blog — she reviews books, interviews writers (I’m looking forward to hearing Alexandra Bracken, who’s going to talk about her debut Brightly Woven on March 23rd) – and also writes her own YA fiction. Put the logo on your blog or within the post. 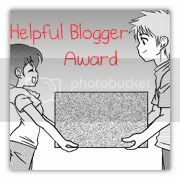 Let the nominees know they have received the award by posting on their blogs. Now… I know the rules say 12. But I’m going to change the rules because a) I’m not even sure I consistently read 12 blogs (don’t hate, I am a college student) and b) I would like to award the Sunshine Award to three blogs instead. Kristin Briana Otts, a fellow college student, brings lots of sunshine to the blogosphere with her hilarious Twilight action-figure photos… and exciting excerpts from her work-in-progress that I REALLY want to read someday, SEVEN. 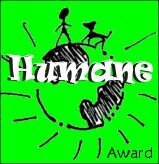 Kirsten Hubbard, my name-sister, shares adorable baby animal pictures, travel stories, and wise words that always make me smile. And Amna, because she wrote the funniest remix of Taylor Swift’s You Belong With Me that every aspiring author should read. It’s brilliant. Thank you for bringing sunshine, you three!